Inspired by the groups like Savatage and Helloween and other groups on the 14th of October 1992 the decision about the creation of the own group occurred. Despite the problems with the music equipment the first Polish version demo tape comes to being created for the purpose of the group. People who take part in the recording are: Doman (bass and vocal), Pawel Kowalczyk (guitar), Mariusz Czarnomysy (guitar), Krzysztof Czeczko (keyboard). For the sake of these recordings electric percussion was used. The year 1993 resulted in accepting the first drummer called Slimak and the first public performance. The next demo recordings were made. In 1994 after "breaking the ice" Gutter Sirens perform during the local festivals and the change of the drummer takes place. From now on Lucky is the drummer. The year 1995 is connected with the first recording in the amateur studio and the Polish language tape "Syndrom"; the first review of the demo tape in the magazine Metal Hammer (we got 4 points out of the 5 grade scale). The interest in our group is growing and we cooperate with the local zines who promote new underground bands. The first interview was given during the audition of Robert Grzesiak in “Radio Elblag” and was accompanied by the presentation of two compositions from the “Syndrom” tape. Still next personal changes are introduced: Mariusz Polak takes care of the drums and Rafal Aleksandrzak of the keyboard. With those musicians Gutter Sirens give a live in “Radio dla Ciebie” in Warsaw. This concert results in still next demo tape “Koncert w czterech scianach”. Numerous reviews in the underground press. Very positive review of the recorded concert in Metal Hammer. This year was finished with the autumn concert in the mega club “Stodola” in Warsaw. The year 1997 is connected with the appreciation of the group gain during the festival “Deblin 97” and next change of the drummer. From that moment Marcin Szumilo is the drummer. In 1998 the group records the first English version tape “The Trees” in the studio of R. Korniluk in Biala Podlaska with the following musicians: Doman (bass guitar, vocals), Pawel Kowalczyk (guitar), Mariusz Czarnomysy (guitar), Rafal Aleksandrzak (keyboard), Marcin Szumilo (drums). The next reviews are published in Metal Hammer, Metal Side, Thrash’em All and in others underground zines, Polish and foreign. The groups plays during the festivals in Deblin and Babimost and gets awards in both places everywhere is appreciated and gets rewards. Also the first TV concert is a success (in TV Lublin). The year 1999 is the time of the promotion of “The Trees “ during the concerts in Poland. In 2000/2001 there are some temporary replacements (Mariusz Czarnomysy is from time to time replaced by Szabas and S. Maksymiuk). During the year 2001 the group also gives concerts. Gutter Sirens get the reward of audience during the Koszalin festival. The work connected with the album “Memory Analysis” recorded in Biala Podlaska (FON STUDIO R. Korniluk) is accomplished. The year 2002 is characterised by the Grand Prix award during the festival “Rock w Armii” in Jelenia G..ra and the performance in one of the biggest festivals in Poland in “Wegorzewo”. Concerts are not the only way to promote "Memory Analysis". The band sends their CDs to different recording companies and, finally, there comes a great breakdown in their efforts. In the autumn of year 2002 Shark Records from Germany sends a contract proposal. In November it becomes a fact, and Gutter Sirens join the company signing the papers. The worldwide premiere of the album comes in January 2003. The first days of March are marked with a great number of interviews and the situation continues till now. In April Metal Mind Productions releases the album in Poland. Also, in April interviews and album reviews of "Memory Analysis" appear in the most famous music magazines in the world. In Poland "Metal Hammer" releases a compilation CD with the "Forgotten Song" included. 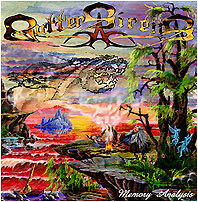 Promoting "Memory Analysis", Gutter Sirens give concerts in Biala Podlaska, Bydgoszcz, Lublin and other towns playing together with the best Polish metal bands. 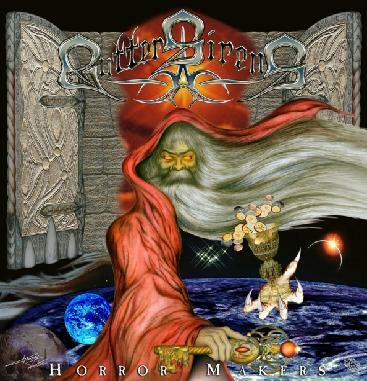 In October the band still works on its next album, entitled "Horror Makers". In the year 2006 the band recorded their first video clip (for the title song of the new album) and in September, thanks to Oscar Productions, the album 'Horror Makers' has been published. Between the 2nd and 4th of November, the legendary Swedish vocalist G..ran Edman visited Poland for the first time in his life, after being invited by the band. He also had a guest appearance during the band's concert.